Animated Resonya Stickers! 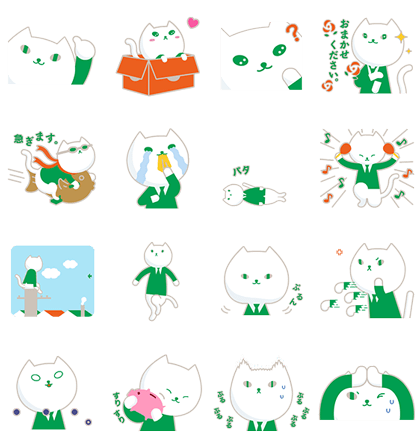 Line StickerThe Resona group’s popular character Resonya is here in a new sticker set! She looks cool and composed, but you’ll be surprised at how goofy she can be! Let her cattitude light up your chats! Friend the Resona group’s official account to get the stickers. 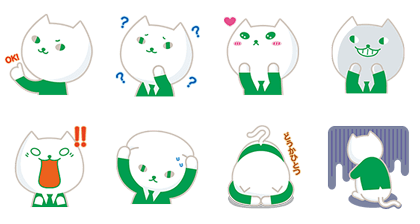 Resonya is Resona Group’s official feline communications mascot, and now he’s on LINE with his own set of animated stickers. The messages featured in this set were created by none other than Super Mariko herself, Mariko Shinoda! Friend Resona Group’s official account to get this set. Resona Bank’s character Resonya is here with a new set of stickers! 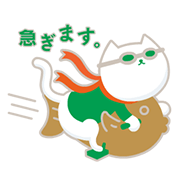 Get Resonya into your chats to get the conversation meowving! Friend Resona Group’s official account to get this set for free! Resonya may look like a cool cat, but she can be a little goofy at times too! She’s back with her fourth meownificent sticker set! 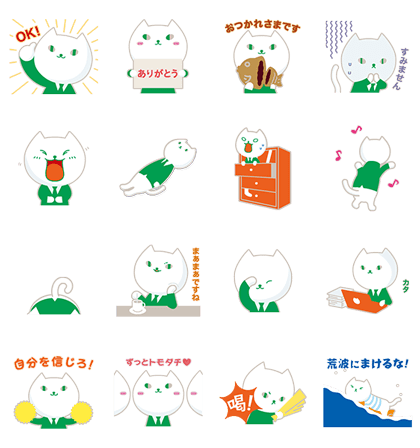 We’re pawsitive that this cute cat will be a hit with you and your friends! Friend Resona Group’s official account to get the set for free. Available till December 18, 2016. Copyright : Copyright © 2014 Resona Holdings, Inc.
Resonya: Back for a Fourth Time! Previous post Tidlom: Buffalo Life + 100% + Jumpa Idol Love + Let’s Play!